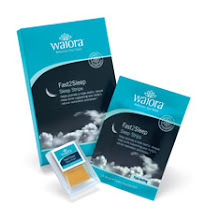 Most adults have experienced insomnia or sleeplessness at one time or another in their lives. An estimated 30-50% of the general population are affected by insomnia, and 10% have chronic insomnia. Insomnia is a symptom, not a stand-alone diagnosis. By definition, insomnia is "difficulty initiating or maintaining sleep, or both." Although most of us know what insomnia is and how we feel and perform after one or more sleepless nights, few seek medical advice. Many people remain unaware of the behavioral and medical options available to treat insomnia. Insomnia affects all age groups. Among older adults, insomnia affects women more often than men. The incidence increases with age. Stress most commonly triggers short-term or acute insomnia. If you do not address your insomnia, however, it may develop into chronic insomnia.